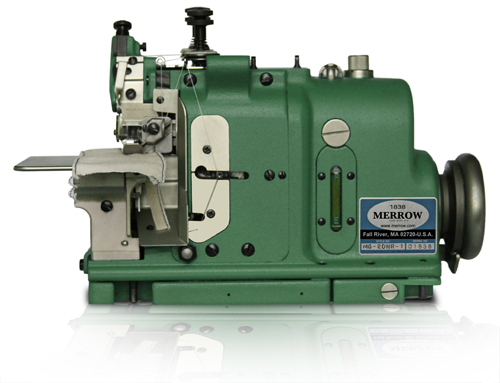 STITCH WIDTH 1/16" - 3/16"
The Merrow Purl Stitching Machine (or merrowing machine) sews a narrow rolled hem on light to mid-weight fabrics. 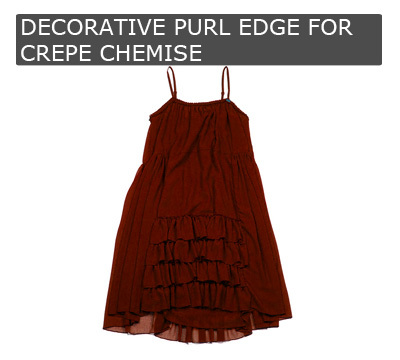 It can be ruffled to create a 'lettuce edge' look as well. 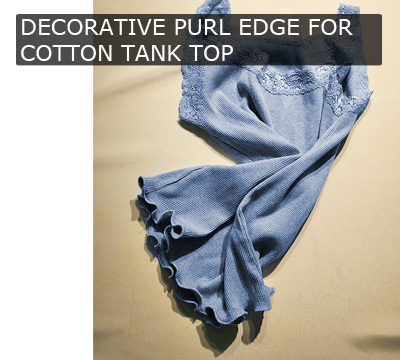 Famous for it's accuracy, the Merrow Purl edge is unparalleled in the business. 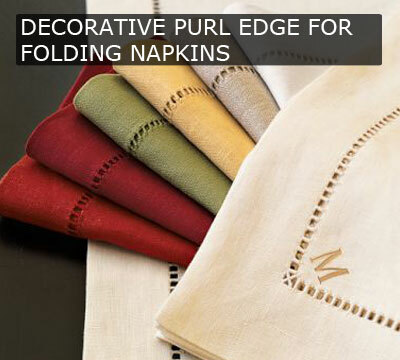 Merrow has refined the design of it's signature decorative edging machine over the past 70 years. Designers around the world use the Merrow Purl Machine to sew delicate rolled hems on wedding dresses, lingerie, evening wear and home decor. Built to run at 5500RPM the MG-2DNR-1 will add an unmatched edge at high speed to lightweight and medium weight fabrics. The stitch itself is noticably better than imitation purl stitches. A Merrow purl stitch is tighter, it hangs straight on delicates, it appears almost as an extension of the material on which it's sewn. A Merrow purl stitch is perhaps the most elegant stitch in the world. 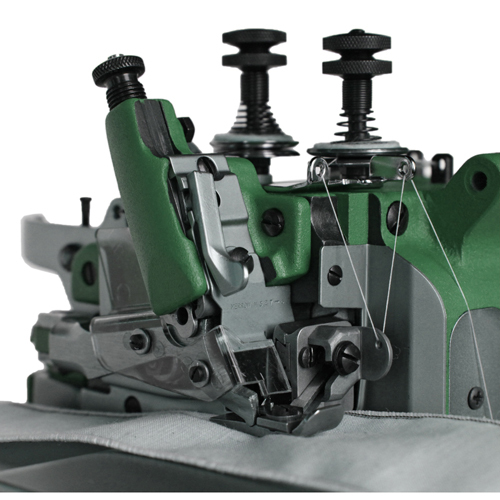 The precision of the MG-2DNR-1 is literally unmatched in the sewing machine world. 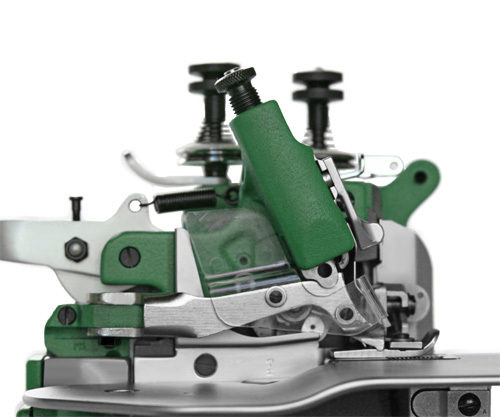 Because of the unique cam drive and the hand crafted looper carrier and needle plate, this Merrow Machine sews a more delicate edge than any other sewing machine manufactured today. At high speed the machine maintains the critical tolerances between needle, needle plate and looper, allowing the product to look beautiful every time. We will build out a custom machine, at no charge, and sew your material off on the MG-2DNR-1 (or other machine if appropriate). If you would like a video of the process we will provide this along with the sewn sample.